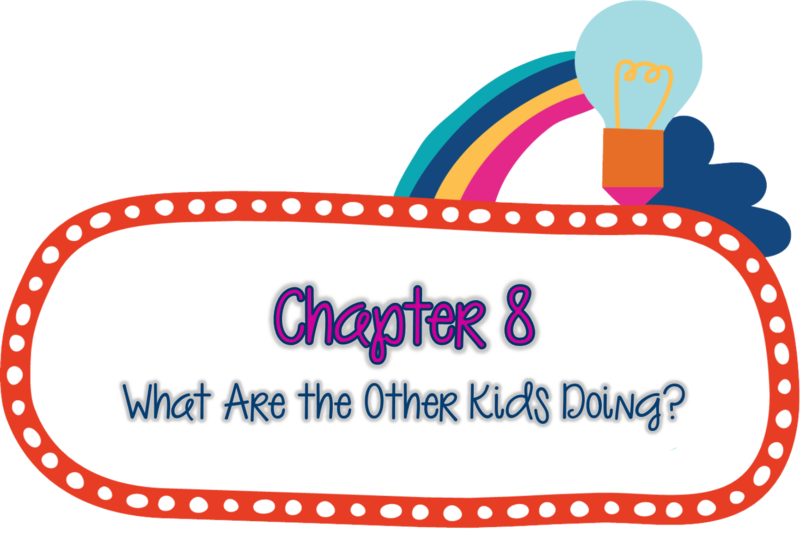 This chapter was all about what the other students are doing while I am working with a group. Math centers are a must for students to practice and be engaged in the learning process. Some people think centers are designed for busy work, but I disagree. Centers should be meaningful and engaging to the students, but the should also be in their "zone of proximal development". I want my students to enjoy learning and become independent. Here is an anchor chart that I created to use with the students to implement the first day of school. I think it is important for the students to practice in a variety of ways. Sometimes the students will practice on their own, with partners, and in groups. I think the best thing for the students is to rotate through these options. 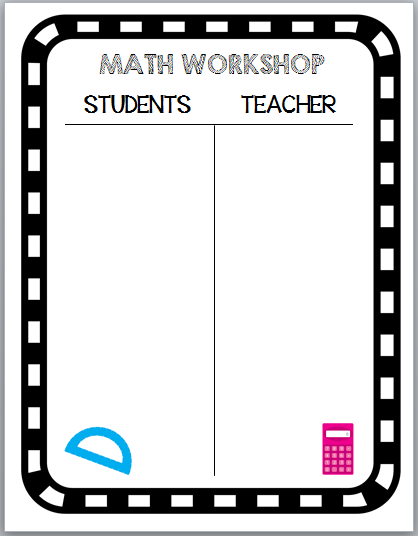 I am going to use the acronym MATH to set-up my workshop. I am sure you have seen this all over the web, I did not come up with the acronym, but I think it makes it easy to remember! I am working on creating my own bulletin board for my rotation chart. Stay tuned! Ideally, I would like the students to make it through all 4 rotations in a day, but our math block is only 45 minutes. I think they may only be able to make it through 3 rotations. The students need to have a sense of purpose in their work. They also need to be held accountable for their work. 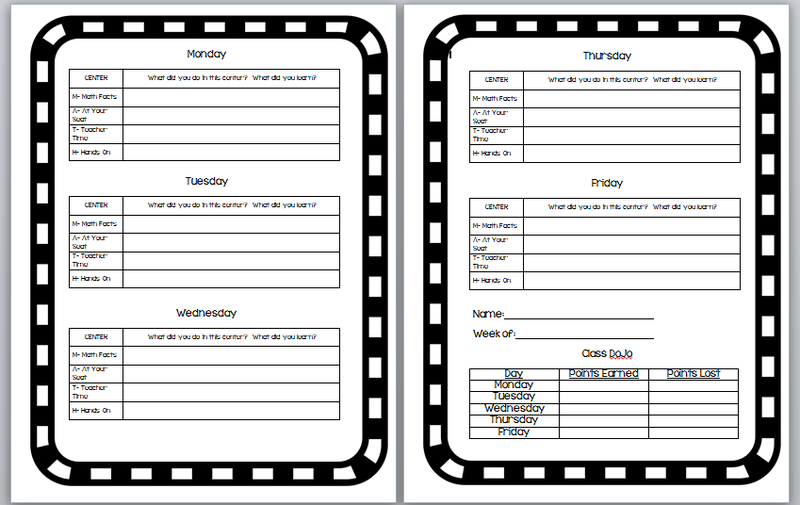 Keeping a written record of what the students completed is a great way for the students to hold themselves accountable. My students will keep a math folder of all of their work and a a reflection sheet for the week. They will fill in what they did for each day of the week. See my reflection sheet below! One more post for our book study! I can't believe that I will officially be back in school next week!